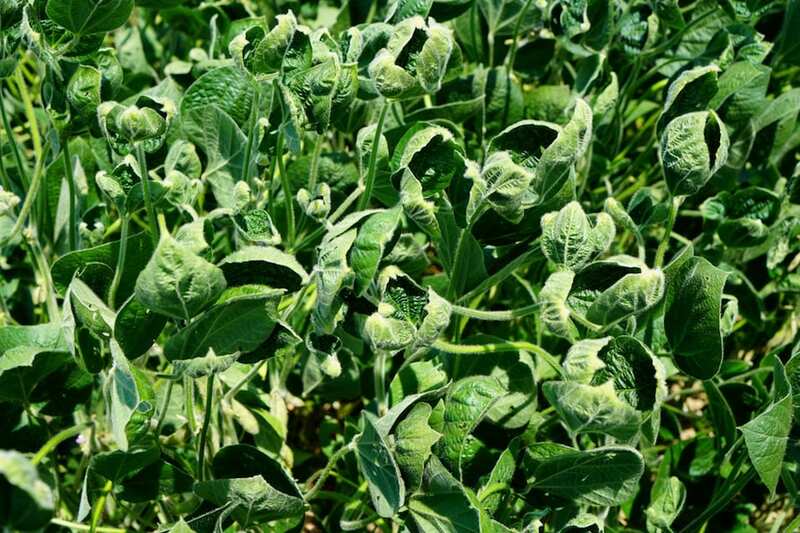 Dicamba injury in soybeans is what UT Extension experts are hoping to prevent through dicamba stewardship training. The training is mandatory for anyone planning to apply dicamba over-the-top of soybeans or cotton in 2019. It's available in person and online. The cost is $25. Photo by G. Rowsey, courtesy UTIA.